The talented entrepreneur and CEO of Afghan Carpet, unlocks his vault. He shares his love for carpets and unveils his ‘miracle’ piece. How did your interest in carpets begin? My interest aroused when I observed my father in this trade for several decades. I believe I inherited a love for carpets in my family gene and was born with it. I always knew that this is what I am going to be practicing in the later years of my life. I source carpets from many wholesalers and several countries including Iran, Azerbaijan, Kazakhstan, Afghanistan and Tibet. I have several favourite pieces, as carpets are more than just a commodity to me. 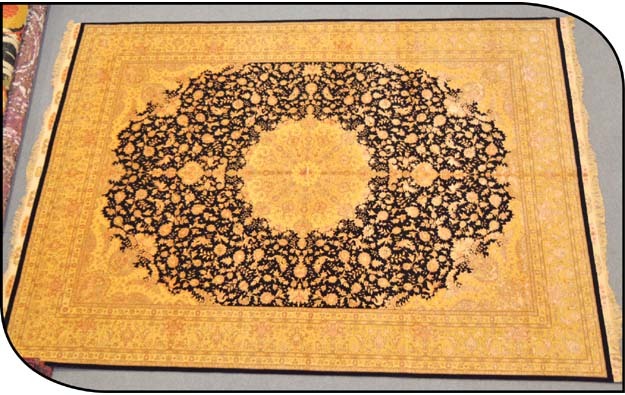 They are my most prized possessions, but if I had to choose, I would say the black and gold Tabriz is my favourite carpet. It holds a special place in my heart because it’s unique, luxurious and glamorous. It adds exceptional value into a room. 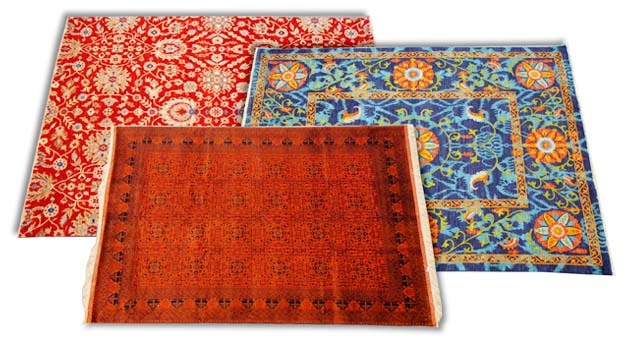 Share a story with us about how you acquired one of your favourite carpets? There are many interesting stories. As a young man I once embarked on a purchasing trip in my early struggling days. I went to a remote village in Tibet, which had the original source of rare carpets made by skilled craftsmen. In those days technology was absent, so with little funds, and only my high spirits and faith to rely upon, I made this trip successful, despite not knowing the language or my whereabouts. It was an adventure! In August 2011 during our Ramazan sale, a fire broke out in Afghan Carpet. It burnt and damaged several carpets in my store and the entire building had to be shut down. It took a huge toll on my entire staff as we had invested our sweat, blood and soul into this flagship store. One of my favourite carpets, an extremely valuable and rare Mughal rug was saved from the fire and I call it my ‘miracle’ piece, as it was completely unaffected by the fire. I never sold that piece because of its emotional value in my life.